Joe Fabrizio is a Senior at Lynnfield High School.This is his forth year of helpdesk. Joe started helpdesk as an enthusiastic freshman. His brother, Nick, was a former member of helpdesk so he started off already familiar with the program. Outside of school, Joe enjoys being outside. Whether it means running, playing basketball with friends, golfing with family, or taking a bike ride with friends, Joe keeps himself busy outdoors. Additionally, Joe enjoys traveling and hanging out with friends. Nick Orlando is a sophomore at Lynnfield High School.This is his first year at the helpdesk, but he is excited to learn new things and help the community. Nick’s favorite subjects are World History and Biology. In his free time Nick likes to tinker around with his computers and bike (when its not -2000 degrees outside). He wishes to major in Filmmaking or Computer Science. Myles McKay is a freshman at Lynnfield High School. This is his first year at the helpdesk, but he is extremely happy to be part of such a great team and program. Myles’s favorite subjects are History and Gym class. In his free time Myles loves to play Hockey, Lacrosse, and chill with his friends. He wishes to be in the Military or be a police officer when he grows up. He loves looking at his schedule in the morning and seeing that he has Help desk as a class that day. Ava is a junior at Lynnfield High School, and it’s her first year at helpdesk. She joined helpdesk to become more involved in the school, and to learn new things to help others. Outside of school, she loves hanging out with friends, making films, and listening to music constantly. Her favorite subject is history, but she hopes to be a crime scene investigator one day, or end up in the psychology field. Emily Goguen is a sophomore at Lynnfield High School. This is her first year on helpdesk. Emily is very excited to be a part of the helpdesk and cannot wait to learn new things and help people out. Her favorite subject is History. Outside of school, Emily enjoys playing sports such as soccer and tennis. In addition, she works at the Old North Church Gift Shop in Boston over the summer. Kathleen Dario works in the IT department and is the Lynnfield Public Schools technology coordinator. She’s been doing this for many years and enjoys working with students and staff. She is a graduate of both Northeastern University and Lesley College, earning several business degrees. She immediately gravitated to computers and has followed the evolution of technology throughout her career in the telecommunications industry. She began working in Lynnfield before the schools even had computers and has been involved throughout the transition to the many types of technology we use today. She loves anything that makes work easier and more efficient. She enjoys working with new and different technologies. She is an avid reader and now reads all of her books on her Kindle app on her iPad. Her three sons graduated from the Lynnfield Public Schools and are currently working full time. Ms. Dario finds it interesting to see how her sons utilize technology and how important it is in their everyday life. She also enjoys traveling and being together as a family while using technology to communicate on a daily basis. 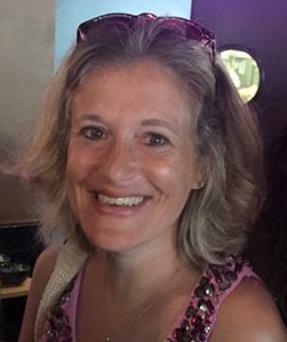 Janice Alpert is the Library Media Specialist at Lynnfield High School. She has a Masters Degree in Library Science from Simmons College (2001) and a Masters Degree in Education with a concentration in English from Tufts University (1997). She is interested in integrating technology into teaching and learning and enjoys working with young adults and teachers. She is passionate about emerging technology, reading, movies, cooking and spending time with her family and her two golden retrievers, Rosie and Scout. Sarah is a Technology Integration Specialist for Lynnfield Public Schools. Her interest in incorporating technology in the classroom, including Google Apps for Education, began in graduate school. Sarah is most excited for the possibilities that technology can bring to help learners of all ages feel successful and learn the material. She has seen students feel more confident in the classroom, become leaders among their peers, and grow through the use of technologies within the classroom setting and beyond. Sarah has a M.Ed. in Secondary English from Gordon College (2012) and a B.A. in English Literature from Westfield State University (2006). She began her professional career in higher education publishing both in editorial and sales. However, Sarah’s desire to help others learn and grow both academically and personally moved her to pursue the teaching profession. Sarah has taught sixth, seventh, and eighth grade Language Arts before moving into a technology specialist role to guide and encourage other teachers as they utilize technology with their curriculums. In her spare time, Sarah can be found reading, baking, playing with her puppy, and trying to learn new approaches to teaching, all while enjoying a cup of coffee.